Appointed to the Board in December 1985. 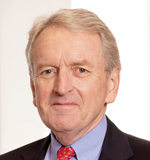 Sir Henry is the Chairman and Chief Executive and is also Chairman of Arbuthnot Latham & Co., Limited. He gained extensive national and international experience as an executive of The Dow Chemical Company and Dow Banking Corporation. 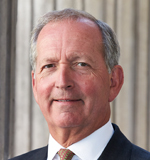 He was previously Chairman of Secure Trust Bank PLC and a Director until August 2018, Chairman of the Banking Committee of the London Investment Banking Association and a Director of the Institute of Directors. He is a Past Master of the Worshipful Company of International Bankers. Appointed a Director in March 2004. 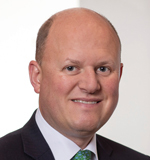 He joined the Company in 1997 as Head of Business Development and is also Chief Operating Officer and since July 2018 Chief Executive of Arbuthnot Latham & Co., Limited. He was a director of Secure Trust Bank PLC until August 2018. 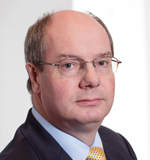 He was previously a director of Hambros Bank Limited and qualified as a Chartered Accountant with KPMG. Joined the Board in 1 November 2008 as Group Finance Director. He was also appointed Deputy Chief Executive of Arbuthnot Latham & Co., Limited in May 2018. He was previously Deputy Chief Financial Officer and Controller of Citigroup’s Global Consumer Group in Europe, Middle East and Africa and qualified as a Chartered Accountant with Price Waterhouse. Appointed a Non-Executive Director in August 2015. He is Chairman of the Audit Committee. He was a Partner for 19 years in the Financial Services Practice of KPMG from which he retired in 2012 after 32 years at the firm. He is a non-executive director of Brewin Dolphin Holdings PLC. Appointed a Non-Executive Director in October 2007. He had a distinguished diplomatic career, culminating in 1997 as Ambassador to the USA. He was previously Ambassador to Germany, Press Secretary to Prime Minister John Major and from 2003 to 2009 Chairman of the Press Complaints Commission. 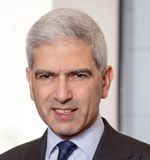 He is also on the International Advisory Board of British American Business Inc., Distinguished Fellow of the Royal United Services Institute and Honorary Fellow of Peterhouse, Cambridge. 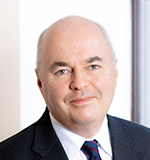 Michael Peat studied law before qualifying as a chartered accountant and becoming a partner with KPMG in 1985. In 1986-87 he undertook a review of the management of the Royal Household and left KPMG in 1993 to devote himself to public duties. During the period to 2011 he was the Royal Household’s Director of Finance and then Keeper of the Privy Purse and Treasurer to the Queen, Receiver General of the Duchy of Lancaster and Principal Private Secretary to The Prince of Wales and Duchess of Cornwall. He retired from the Royal Household in 2011. Appointed a Non-Executive Director in June 2016. 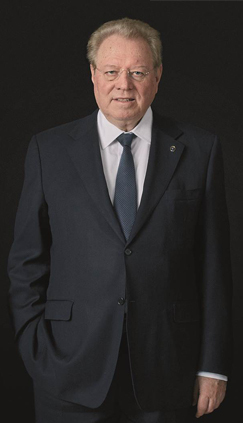 Sir Alan spent 37 years with Dresdner Kleinwort until 2009, latterly as Group Vice Chairman and Chairman of the UK Bank and then served as Chairman of the Chartered Institute for Securities & Investment until October 2018. He is Chairman of Turquoise Global Holdings Ltd and a director of Institutional Protection Services Ltd. He is also Vice President of the Royal Mencap Society, Independent Partnership Advisor to James Hambro & Partners and an advisor to Zeamo. Sir Alan is an Alderman, Magistrate and HM Lieutenant of the City of London, a member of the Court of the Fishmongers’ Company, and Liveryman of several other Livery Companies. He is a member of the Takeover Appeal Board, the Advisory Board of the Commonwealth Investment & Advisory Council. Sir Alan was Lord Mayor of the City of London for the year 2014-15. Appointed Group Company Secretary in July 2018. 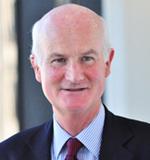 He was previously Company Secretary of Daily Mail and General Trust plc and of Close Brothers Group plc. He is a Chartered Accountant.